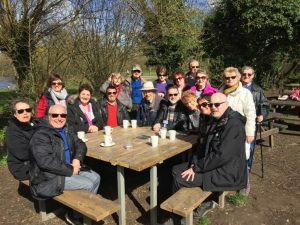 Our walk will meet at 10.00 am in the free car park at Cassiobury Park. Drive to the top of Gade Avenue, which is off the A412 Rickmansworth Road, for the car park, or walk a short distance from Watford Metropolitan Line tube station. We will walk through the nature reserve, and then into the Whippendell Woods before we visit the café for a coffee stop.